Betsy and I are currently on a beach vacation with her family. We try to go every year and it’s always a very relaxing time. There are many good cooks in her family so I never really try to cook that much during the trip. 1) Spiced steamed or boiled shrimp. Other people brings salads and stuff so this is all we really cook. I did a test run for a new hush puppy recipe and I will 100% be using it for the dinner night this year. These Jalapeno Hush Puppies were some of the best hush puppies I’ve had. 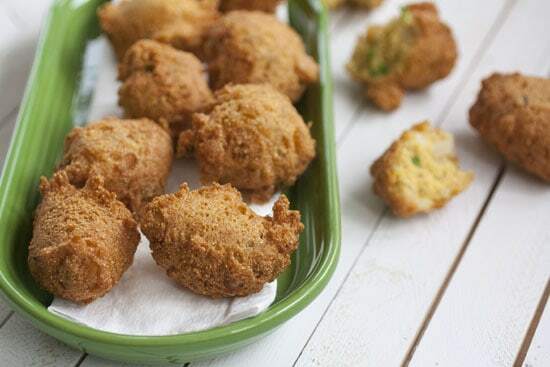 A simple and easy recipe for hush puppies that is stuffed with jalapenos and lots of Old Bay. These are the perfect side dish. 1) Dice the jalapeno and onion finely. 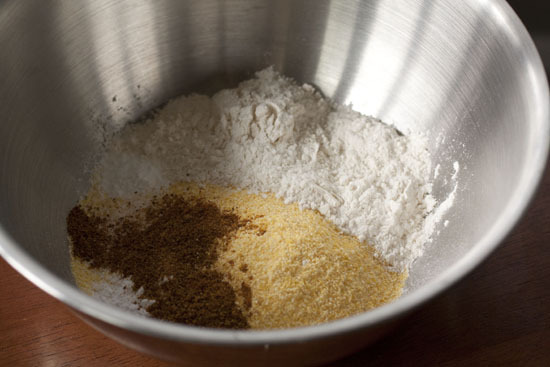 2) Stir together dry ingredients in a medium bowl. 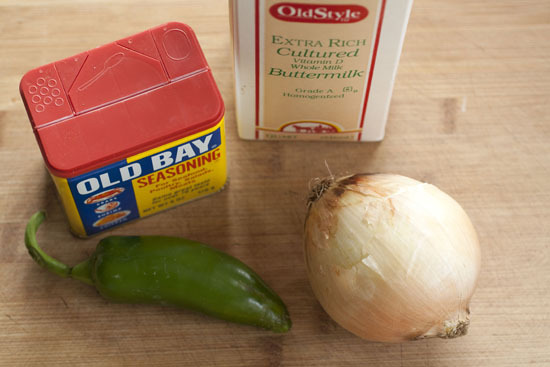 Stir in onion and jalapeno and then add egg and buttermilk and stir until combined. 3) Heat about a quart of vegetable or peanut oil to 350 degrees. 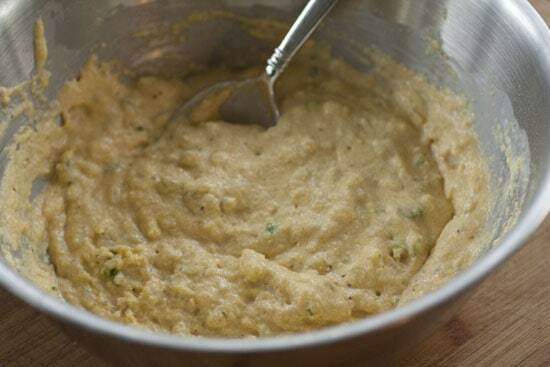 4) Scoop large tablespoons of batter and drop them in the hot oil (carefully). Let them fry for about 4-5 minutes until they are golden brown. 5) Remove and let drain on a paper towel for a minute. Roughly adapted from a Homesick Texan recipe. 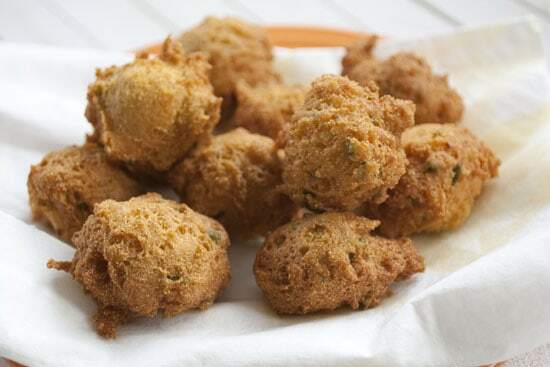 I always envision eating hush puppies with seafood so I always think hush puppies should have Old Bay in them. It just gives them that nice spice. That said, you can make this recipe easily without it. You can also leave out the jalapeno if spicy isn’t your thing. If you do include the jalapeno, make sure to dice it pretty finely. You don’t want anyone to get a huge bite of jalapeno in their puppies. I left the seeds in my jalapeno but you could scoop them out if you want a more mild flavor. The batter for these guys is dumb simple. Just stick all your dry ingredients in a bowl and stir them together well. 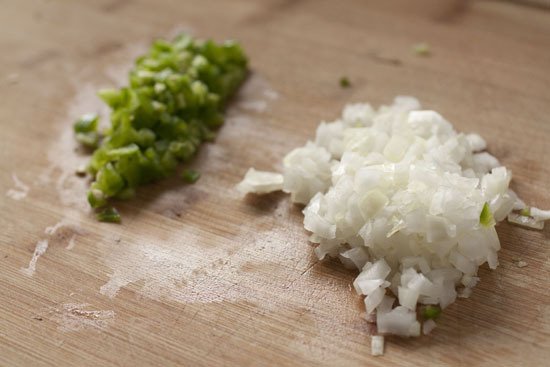 Then add your wet ingredients (eggs and buttermilk) and stir in the jalapenos and onions. It should be a really thick batter. Note that this batter will make about a dozen hush puppies. I can pretty much eat that many by myself so I highly recommend doubling, tripling, or quading the recipe depending on how much your crowd loves hush puppies. You have to fry these guys. There’s just no other way to get it done. As always, I recommend using a deep fry thermometer to make sure temperature is spot on. Fry large tablespoon scoops of batter in 350 degree oil for about 4-5 minutes. 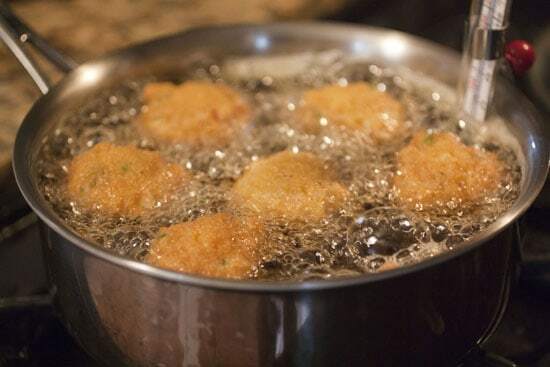 Use a sturdy spoon to flip them a bit as they fry. When they are a nice golden brown color, take them out and let them drain a bit on a paper towel. These are best when they are nice and hot so don’t wait to serve them! I would love to be able to invite all of you wonderful readers to the beach with me and pump out hundreds and hundreds of these for you to snack on, but I would hate to subject you all to my pale skin. So you’ll just have to make them yourself! But I wanted to give you another hush puppy idea: kimchi puppies! Other than kimchi jigae, kimchi pancakes, and kimchi bokkeumbap, it’s the only way I eat it. Perhaps you could use it in a new recipe? Yum, these look great Nick! Okay, here’s a variation you really must try: essentially your exact same recipe (including the jalapenos! ), but add some shredded cheddar cheese and some lump crab meat (high-quality canned is just fine). Serve it up with a spicy mayo dipping sauce. So delicious! 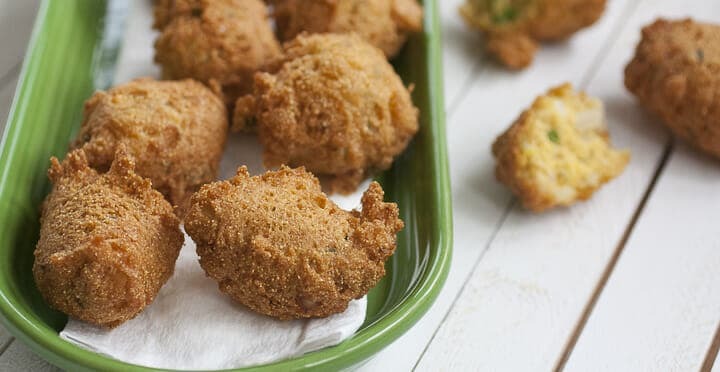 There is a recipe for these chedder-jalapeno-crab hush puppies on the blog evilshenanigans, and we made them last fall as part of a New Orleans themed progressive dinner. Our small group downed about 30 of them! Yum! I’ve never deep fried anything – I think it’s about time I do! Haha how did you not burn your house down? Reminds me a tad bit of the festival I made (if you remember that), except that has a little sugar tossed in, and scallion. YUMMO!! I LOVE hushpuppies! And I just so happened to pick a bunch of jalapenos from the garden today – now on to search for the other ingredients =) Hope you guys are having fun Nick!